At the head of the road leading off Eastney Esplanade into the Museum area. 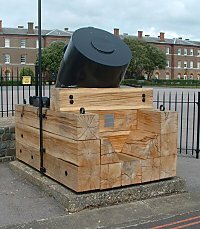 FRIENDS OF THE ROYAL MARINES MUSEUM. 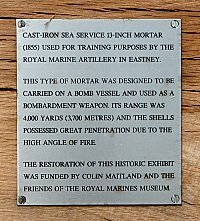 After the restoration of the mortar the transcript on the plaque was amended to include the last paragraph above. 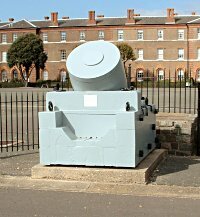 For more information about mortars in general see Wikipedia.